BBC Local Radio stations for London and Birmingham have been added to the Freeview channel line-up today for viewers in the London and West Midlands TV regions. Viewers with Freeview in the West Midlands and who receive BBC Midlands Today as their regional news programme on BBC One can find BBC WM on Freeview channel 722. A retune may be required. Viewers who receive Freeview from the Crystal Palace transmitter or one of its relays and who receive BBC London News as their regional news on BBC One can find BBC London on Freeview channel 721. A retune may be required. At present only these two local radio stations have been added to Freeview within England; there has not been any official statement from the BBC to date regarding any roll-out of BBC Local Radio across other parts of England; or in the case of the West Midlands whether any of the region's other stations will be carried alongside BBC WM in the future. Both services were spotted testing as hidden streams as part of the Freeview signal that carries the BBC's standard definition TV services at the beginning of March. 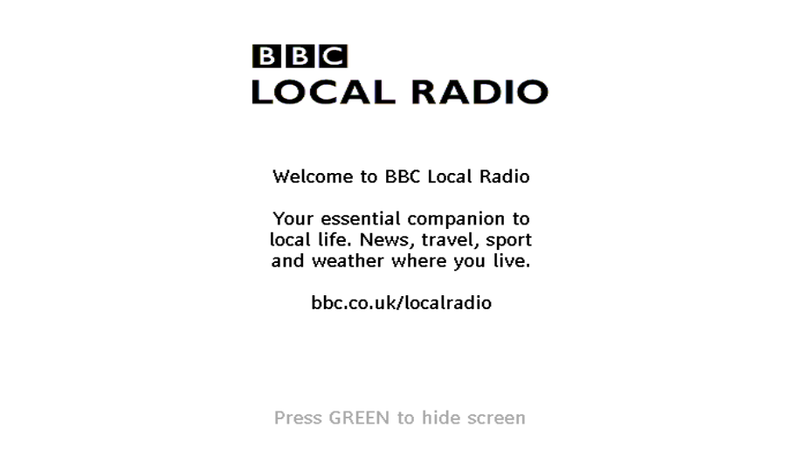 Both local radio streams are in mono, a sign of the capacity restraints on the BBC's digital multiplex. Audio bitrates for certain BBC TV stations were reduced slightly in preparation for the local radio launch in the two regions. In Scotland, Wales and Northern Ireland, the BBC carries the relevant nation/language station applicable to each nation on Freeview channels 719 and 720. There seems to be a touch of EPG squatting going on here. It would have made more sense to re-use LCN 719. Yes they should have used 719 / 720. I wonder if they have plans for further launches?